Happy New Year Everyone. I'm so glad you're back. To start the New Year off right, we've selected some wonderful quotes that can help inspire and motivate us to stay on track to achieve our goals this year. Every year I also make a few New Years resolutions, along with family and friends. Of course not all resolutions are kept but some do stick, which always helps create a yearly improvement. No matter what changes we have promised to make to better our lives, here are a few inspirational quotes that can actually help you to keep them. Let's say this all together....Look out 2016, I'm stronger than before. These are some of my favorite inspirational and weight loss quotes. We're all just one small adjustment away from making our lives work. from the 2010 movie called "How Do You Know"
Whether you think you can or can’t, you’re right. Grant me the serenity to accept the things I cannot change; courage to change the things I can; and the wisdom to know the difference. If you focus on results, you will never change. If you focus on change, you will get results. Don't ask...act! Action will delineate and define you. Your past does not equal your future. Attitude: It is our best friend or our worst enemy. I learned that courage was not the absence of fear, but the triumph over it. The brave man is not he who does not feel afraid. but he who conquers that fear. If you find a path with no obstacles, it probably doesn’t lead anywhere. You cannot expect to achieve new goals or move beyond your present circumstances unless you change. Most people fail, not because of lack of desire, but, because of lack of commitment. Stay committed to your decisions; but stay flexible in your approach. 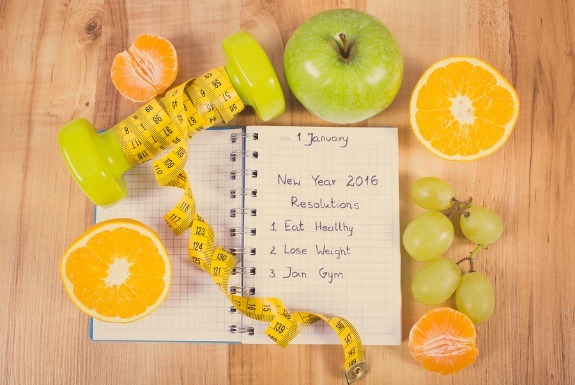 Every New Years Day we refresh our memories by posting our most popular weight loss tips that we know actually help keep our resolutions. Tips that can actually help you succeed. Write down your future goals. Be very specific because this really works. It is important to know exactly what you want to achieve and why. It’s like keeping a journal about your life and you are the star. Remind yourself the benefits you will gain by sticking to it and always picture the happy outcome in your mind. 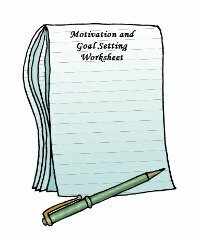 Here are some Motivational and Goal Setting Work Sheets we would love to give you to help get you started. It's a handy tool to have around. Click on the workbook below to get your worksheets. Knowing exactly what you want is great but now you must take action, because we know that without action it will only stay a dream and not become a reality. Don't let failure intimidate you. It's not your enemy, it's a learning tool. I know this sounds a bit crazy, but try not to look at failure as a negative. Look at it as a temporary bump in the road and a learning experience that has made you stronger. People that succeed have usually failed more times than they can count before getting it right. The morale is, never give up no matter how many times you have faltered, because if you keep on trying there is always that chance you will succeed, but without trying we have little or no chance to make the change we desire. Try posting motivational notes or photos of people that inspire you when starting your new challenge. Post these in an area where you can see them every morning when you start your day. For many people, putting pictures of your kids, loved ones or friends on a desk nearby may also boost your energies to help reach your goals. No matter what your goal it is always nice to reward yourself for keeping focussed. After all, hard work deserves a treat or a mini celebration now or then. There are consequences for this way of eating and it's only good practice to think before we reach and fill our mouths. Choose wisely and avoid junk foods. Pick your favorite healthy foods and enjoy. You will feel better and more energized. Every task flows easier when you have a plan. Once you have chosen your meal plans for tomorrow or the week, try to prepare. Make sure the ingredients you need are in your fridge and ready to go. If you wash and clean all the vegetables ahead of time, it makes things so much easier. This tip can be such a great time saver on those oh so busy days. If you have made a resolution for this new year I wish you lots of luck on whatever positive change you have decided for yourself (and/or loved ones around you). Wishing you success, and as always wishing you health and happiness.